Many have lived their travel bucket list through photos on Pinterest and Instagram, and Tuscany always seems to be at the top of that list. If you’re finally getting the chance to live that dream in real life, then you’ll want to know about the best things to do in Tuscany as you begin to plan your adventure. We live on a tiny green and blue speck in the ever-expanding, never-ending space that is our universe. Though, it is comparatively just a drop in the ocean of the universe. However, for us, it is a vast world that is just waiting to be explored. Our planet has a great history, and even if we wanted, we could not learn everything that has happened on Earth. Still, there is still a lot of recorded history that piques our interests and feeds our curious little minds. Among the significant places with a rich history of art, engineering, architecture, literature, and legendary men is Tuscany. Situated in Central Italy, the Tuscany region is known for its picturesque landscapes, rich cultural history, artistic legacies, and most importantly for the Renaissance. After the Middle Ages, the fervent period of the European Renaissance was born in the capital Florence of the Tuscany region in Italy. Some of the world’s most famous painters, engineers, artists, and universal geniuses are from Tuscany. Some of these names consist of the likes of Leonardo da Vinci, Michelangelo, Botticelli, Donatello, Giotto, Pisano, Brunelleschi, Ghiberti, and many many more. The region is home to numerous world-renowned museums and art galleries. There are plenty of churches and cathedrals in the area that hold some of the most precious art pieces of the world. Although, human-made art is not the only attraction of this “nation within a nation”. The geographical region holds some of the most breathtaking, and diverse natural landscapes of the world. From the rocky Apennine mountains, across the olive groves and vineyards of Chianti, to the beaches on the coast of the Tyrrhenian Sea. The best things to do in Tuscany span a variety of places. The capital of my heart, and also of Italy’s Tuscany region; Florence is one of the most iconic cities in the world. The city will welcome you with the sight of the renowned red dome of the Medieval cathedral of Santa Maria del Fiore. Moreover, you can find Michelangelo’s sculpture of David in the Galleria dell’Accademia, Botticelli’s The Birth of Venus, and da Vinci’s Annunciation in the Uffizi Gallery along with many other masterpieces of art and literature. The city is home to famed architectural icons of the times, such as, Ponte Vecchio, and Palazzo Pitti that exhibits the works of the great Raphael and Titian. You may know this city by the iconic Leaning Tower of Pisa. However, this commune has much more to offer than just the cylindrical white marbled bell tower. The Piazza dei Miracoli is also home to the Romanesque Cathedral of Pisa, the cloistered Composanto Monumentale Cemetery, and the Baptistry that is renowned for its acoustics. Furthermore, the city has many graceful, noble palaces and medieval churches like the Santa Maria della Spina. Versilia gets its name from the Versilia river that runs through it. It sits on the Tuscan coast in the northwestern edge of Lucca province. Versilia is widely known for the elegant resorts and the Riviera. The coastline is shallow and gradually deepens into the sea which makes the beaches perfect for families with young kids. The region also has beautiful sloppy hills and the Apuan Alps. The nightlife in Versilia is also very popular with a number of night clubs active in the area. The nightlife also attracts many young adults that are looking for a party with a view. This Italian hill town in Tuscany is famous for its historical architecture. Situated southwest of Florence, the town is prominent from afar by the skyline of medieval towers and the 13th-century wall that encompasses the town. It also holds many old town centers and medieval houses on the Piazza della Cisterna. The city hall is full of renaissance frescoes by old masters. You can also find frescoes by Ghirlandaio in Santa Fina Chapel of the 12th century Duomo di San Gimignano Church. The town towers also give a very scenic view of the countryside that unfolds below. The more seasoned among you folks would be familiar with the name Chianti. 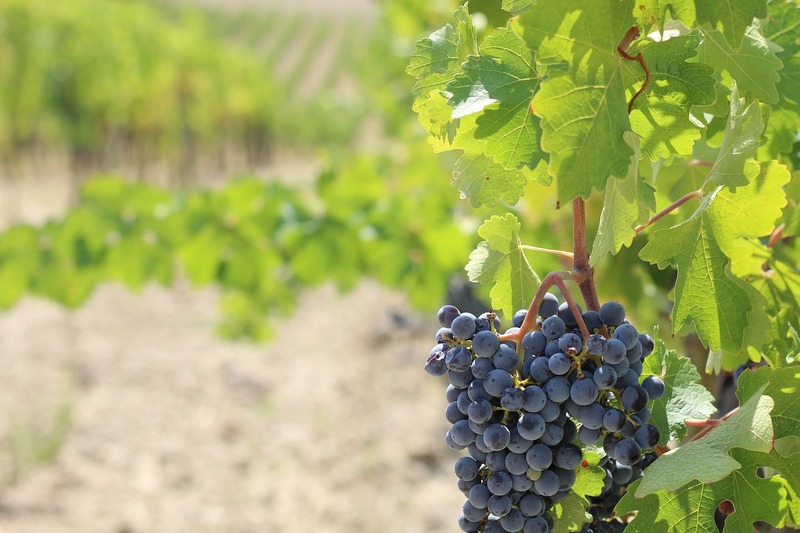 The Chianti region is the home of the wineries that produce the world-renowned Chianti wines. It is the most beautiful region in Tuscany. The unique and picturesque landscape is adorned with green, sloping, gentle hills that are covered with minuscule stony villages, ancient country homes, vast olive groves, and vineyards. The whimsical fairytale-like charm of the region does not end there. Furthermore, the area is embellished with panoramic wavy roads, fortresses, and historic castles. Some famous towns to visit in the Chianti region include; the lively town of Greve, the populous town of Panzano, the ancient town of Castellina, the maze-like Radda, and the historic Gaiole. You can distinguish this city from others by the fan-shaped central square and buildings made of medieval bricks. The seventeen historic districts of the city extends from the central square, Piazza del Campo. It also has a Gothic town hall. Adjacent to the town hall is Torre del Mangia, a slim 14th-century tower that gives you the most scenic views of Tuscany. Well, the most famous thing about Siena is the Palio di Siena. It is a historic biannual horse race, held on 2nd July and then on 16th August. Representing the ten districts out of seventeen by colorful costumes, ten horse riders take part in the race. Also, in Siena, marbled Cathedral houses adorn statues and sculptures by Michelangelo and Donatello. It’s smart to read up on travel tips before your journey to unfamiliar places. Always be safe when traveling. You might look into wallets that fit your body and are worn under your garment. Always leave your most important documents (passport) in your hotel where they are safe. Be sure to check in back home frequently so family members know where you are. And remember to learn how to track a cell phone in case your mobile is stolen or lost. So, you can always get in touch with your family and share your experiences. The world is too big, and our lives are too busy for us to explore all of it. So, let us pledge to take some time out to wander around the globe and see the best of what the world has to offer. As J. R. R. Tolkien wrote; “Not all those who wander are lost”. However, don’t forget your loved ones while you’re away.